Thank you, Zondervan for sending me this book free of charge in exchange for an honest review. I was not paid for this and all opinions expressed are 100% my own. 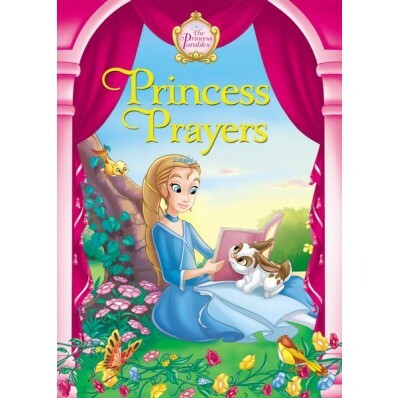 These 15 princess prayers are great! I love the rhyming in each prayer. Each page has one prayer that is two paragraphs long. The pictures are our favorite princess characters. We couldn't stop at just one prayer so we read half of them one night and the other half the next night. Some of the prayers are ones that I think are great reminders and declarations that I almost want to post them around the house! My nine and five year old both enjoyed them! I think your kids will too! This book is available on Zondervan for $9.99! Order your copy today for your favorite princess loving kiddo!